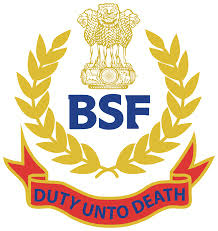 Border Security Force (BSF) has published Advertisement for below mentioned Posts 2018. Border Security Force (BSF) has published Advertisement for below mentioned Posts 2018. Other details like age limit, educational qualification, selection process, application fee and how to apply are given below. B. Preferably 2 years relevant aviation experience after completion of Diploma course. Application Fee: Each application should be accompanied by a Demand draft / Postal Order for Rs. 100/- (Rupees One hundred only) as examination fee in favour of Commandant 95 Bn BSF, payable at SBI Badshahpur (Code-02300) or Post office Bhondsi (HR). However, the fee is exempted for all Female candidates and candidates belonging to Scheduled Cast /Schedule tribe, BSF Candidates & Ex-serviceman. Address to sent Applications: The Commandant, 95 BN BSF, Bhondsi Campus, Nr. Sohna Road, District - Gurgaon (Haryana) - 122102.